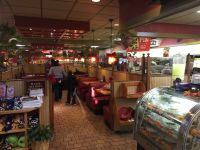 Excellent Opportunity to buy a Shoney's® Casual Dining Full Service Family Restaurant. 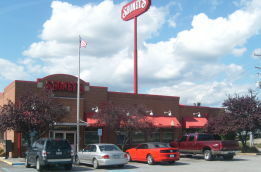 This family friendly Shoney's® Franchise Restaurant is ideally located just off the interstate on a busy road that has excellent street visibility. It is consistently profitable with additional upside potential through reimaging and community involvement. The restaurant has a loyal clientele and a solid team of long term employees. Shoney’s® is truly better than ever! For 69 years, Shoney’s® has been known for authentic southern dishes that are available for breakfast, lunch, dinner and home replacement meals. Today, this premier casual dining brand is growing through franchising following an extensive revitalization program that includes a focus on freshly prepared food, innovative menu items and beautifully designed restaurants. This All- American brand enjoys high customer retention and frequency with repeat customers’ visiting Shoney’s® multiple days and day-parts. Shoney’s® is a Nashville based company with restaurants located across the Southeast and plans to expand nationwide and internationally. The Shoney’s® system provides franchise partners an iconic legacy brand with strong brand equity, experienced franchise leadership and support, creative and powerful marketing and loyalty programs, tested and proven operating systems and the flexibility to address the needs of individual markets. Each restaurant strives to give back and be a pillar to the community, which is a hallmark of Shoney’s culture. We support our schools, local police, the military, firefighters, community events, sports teams, and more. Whether you are developing a new location or territory or acquiring an established restaurant, Shoney’s® is there to support you and your team every step of the way. To find our more about this Shoney's® Restaurant location, Please fill out the form below and submit.